Groups give you the ability to categorise your trainees in any way you see fit! Groups can be cross cutting, so you could have groups for location as well as their role in the organisation. Use groups to the setup used to organise into training groups, i.e. Supervisors can be assigned to manage a particular group’s follow-ups and user details. 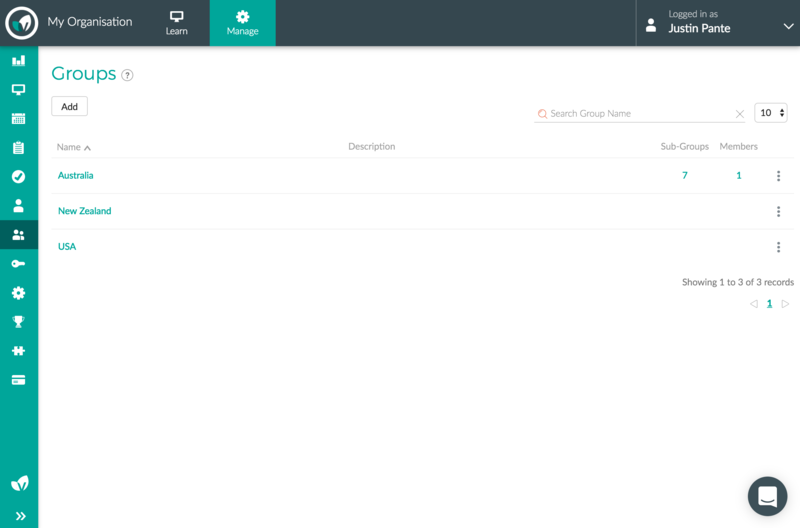 Fully featured plans have access to create hierarchical groups. Once enabled, subgroups inherit settings from their parents.